January 24, 2016 This post may contain affiliate links. Oh yes I did! 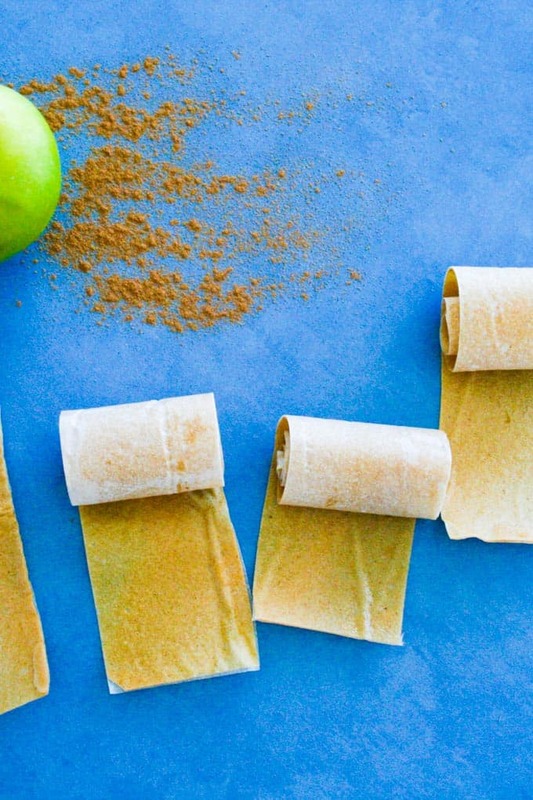 Up until recently (this weekend) fruit roll ups were something ‘Other people made’. You know, Super moms and confectioners. But no more. These little babies are now officially one of my favourite snacks to make. 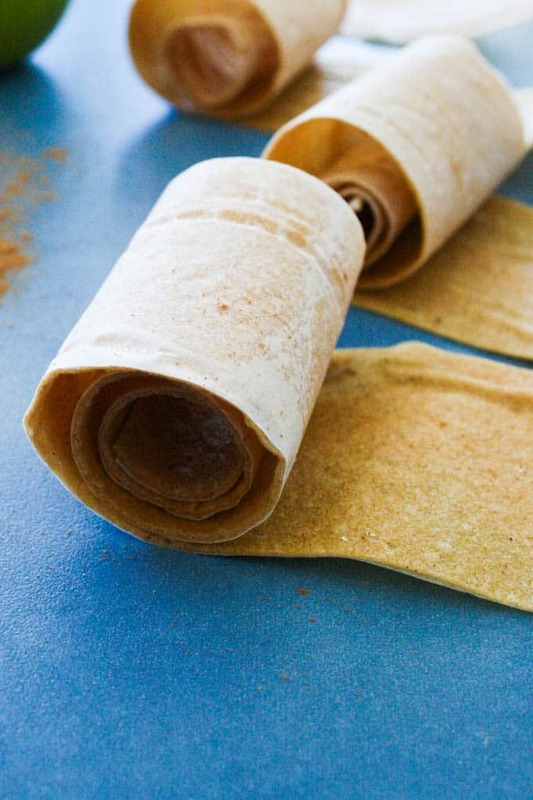 Besides tasting Ahhhmaaaazing, they are really fun to eat and super easy to make. I’m kicking myself for waiting so long to give them a go. Monday is the day my groceries get delivered. We live a little bit Country now, so no more ‘popping down to the supermarket’ for me. Oh no. I have to be a bit more organised (And I am still working on that). My fridge is the size of a shoe box so cold storage space is limited and I am slowly learning to make good use of my pantry. There is a quite a bit of skill to that, which only gets learned once you run out of that vital ingredient half way through a recipe. Anyway, by Sunday afternoon, we are operating on slim pickings. By the way, kids are just as hungry on a Sunday. Who would have thought? 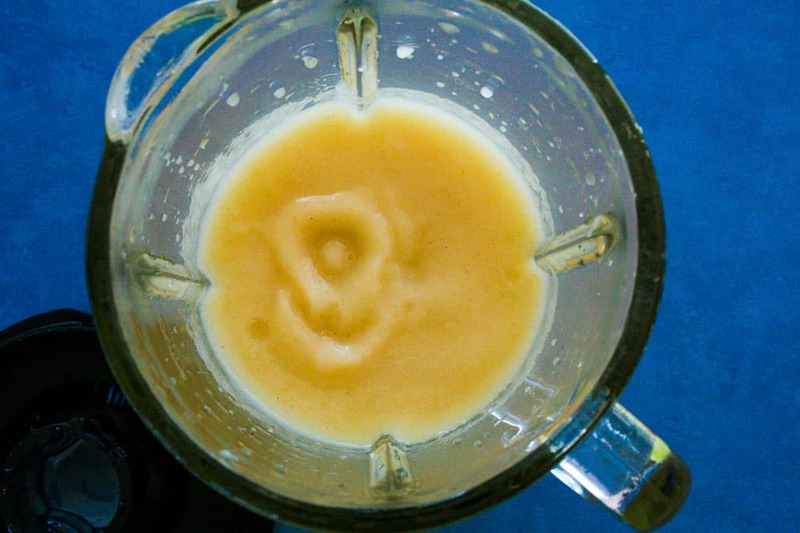 So there I was, staring blankly into my pantry waiting for inspiration to hit – and it did! 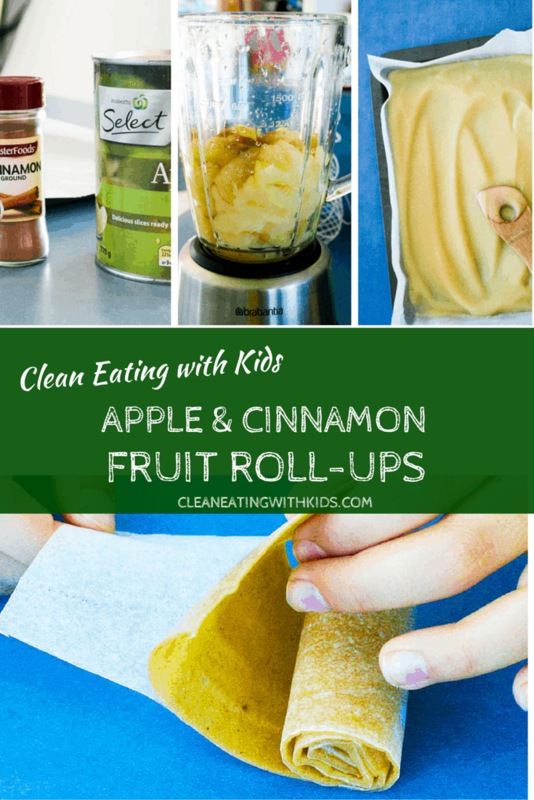 I had three massive cans of Apple just sitting there and I never run out of cinnamon, so I had everything I needed to make Green Apple Apple and Cinnamon Roll Ups. 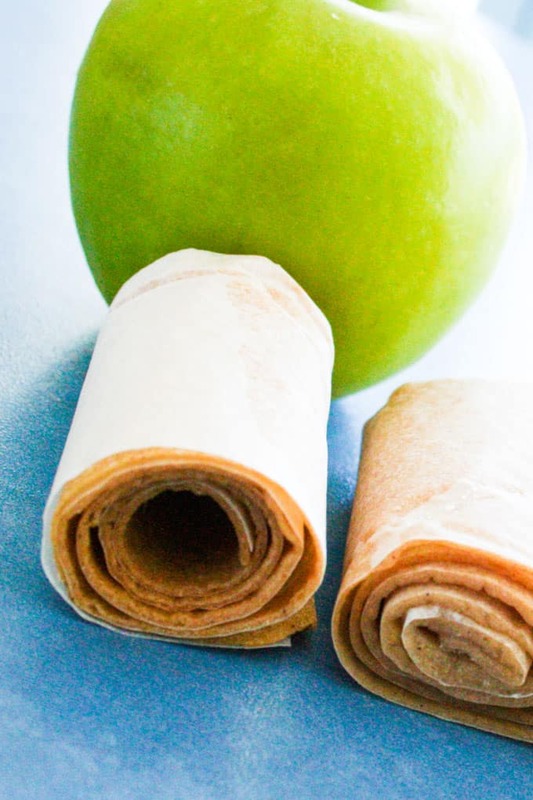 You can most definitely use fresh apples for this recipe, but I didn’t have any and it feels kinda wrong to use so many beautiful fresh apples for this recipe. 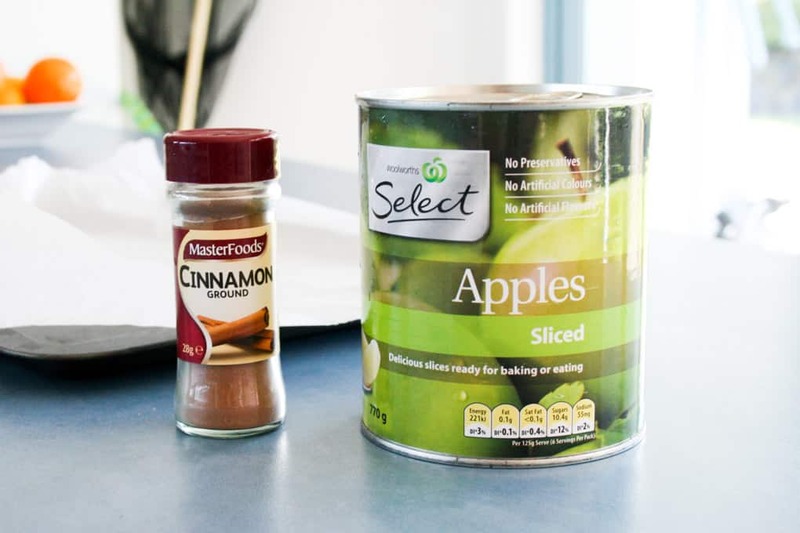 Canned apples are quite a bit more cost effective too as you end up cooking them for ages to dehydrate and you would need about 6 fresh apples per batch to get the same quantity. 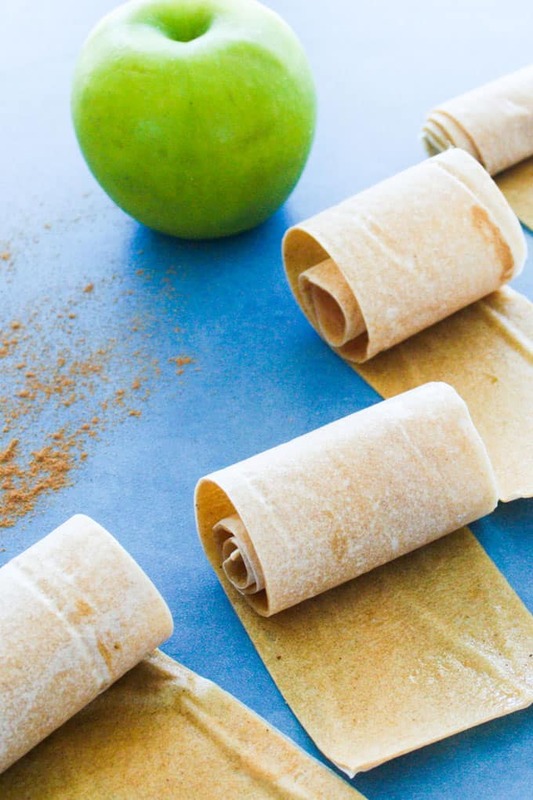 These leathery textured fruit strips are perfect for school lunch boxes too. 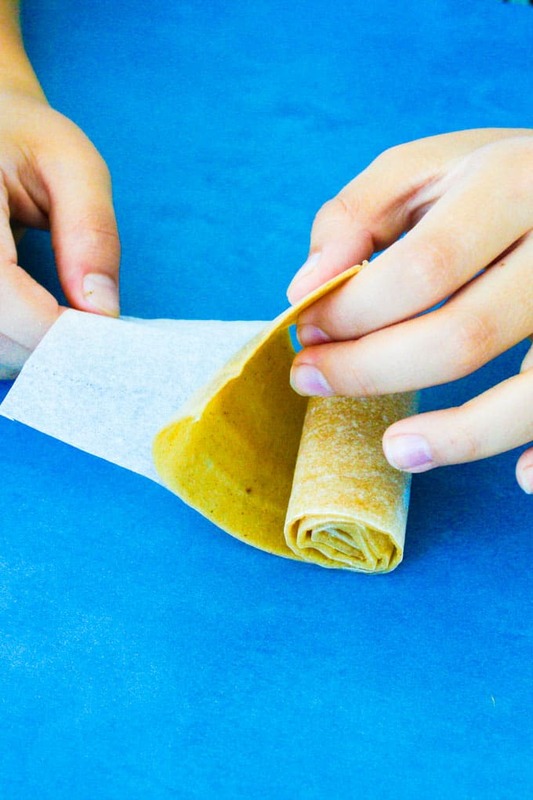 Bake them directly on parchment paper so that you can cut into strips and roll them up, just like a ‘bought one’. Your kids will be delighted. 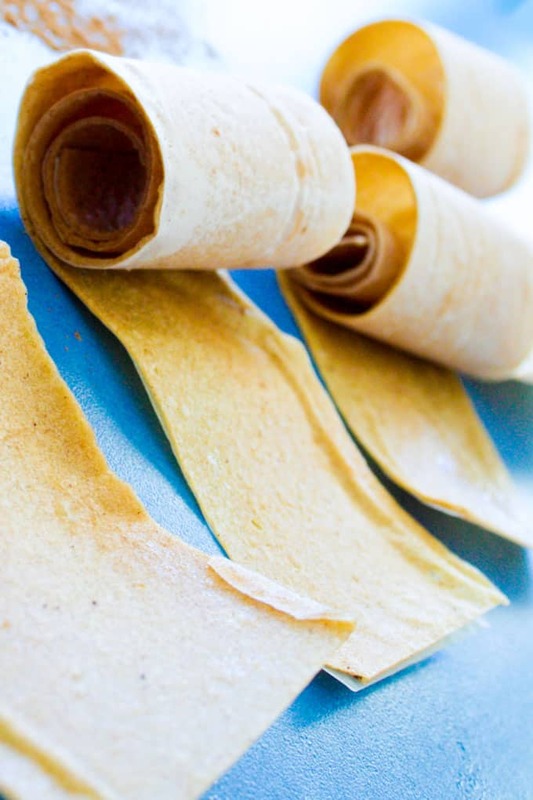 I don’t have a dehydrator, so I bake these in the oven. 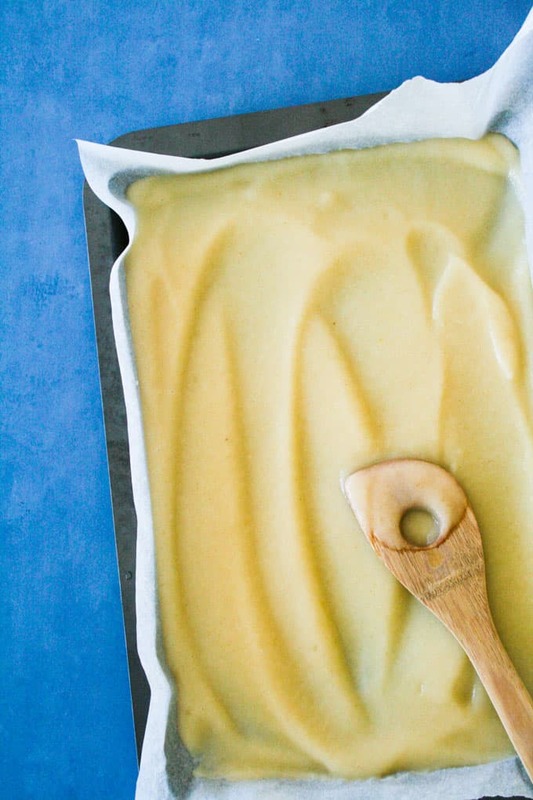 It takes a long time (3 – 4 hours), so I recommend making three or four trays at the same time to make it worth your while. A big batch can be stored in an airtight container for for the whole weeks worth of lunchboxes (and the odd little hand sneaking a snack). Preheat oven to 175 Fahrenheit or 80 degrees Celsius. 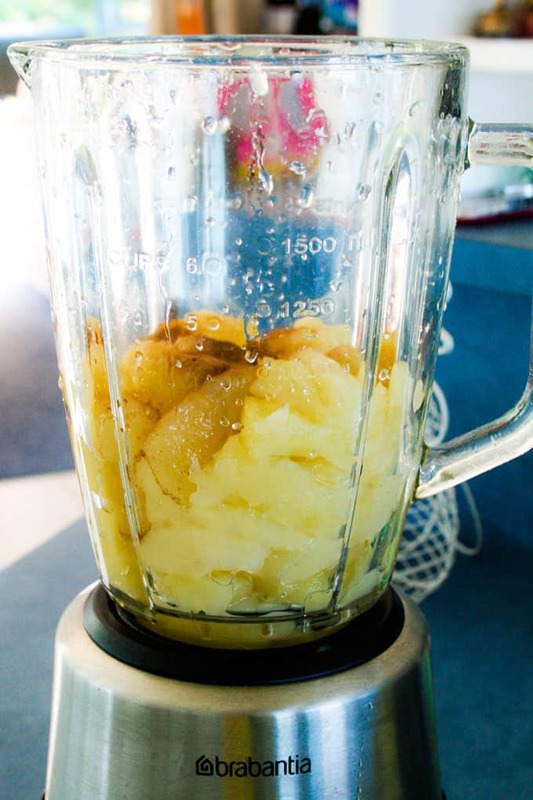 Blend apple and cinnamon on a blender until smooth. 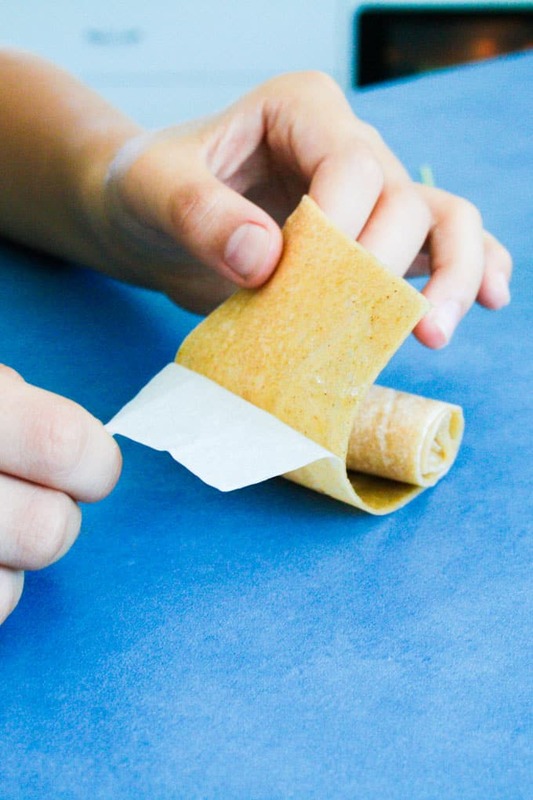 Spread out as evenly as possible onto the baking paper using a spatula. 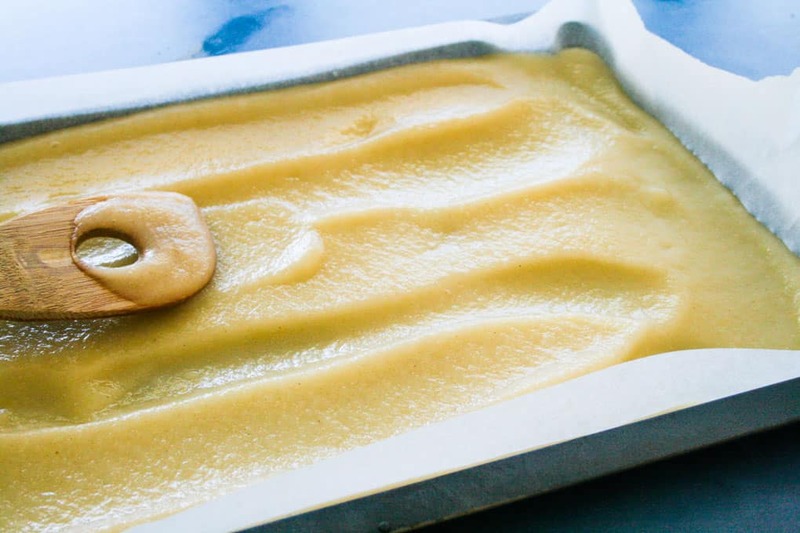 Bake for 3 – 4 hours until the apple is dry to the touch, but still a bit pliable. You don’t want it too dry. Remove from the oven and allow to cool completely. 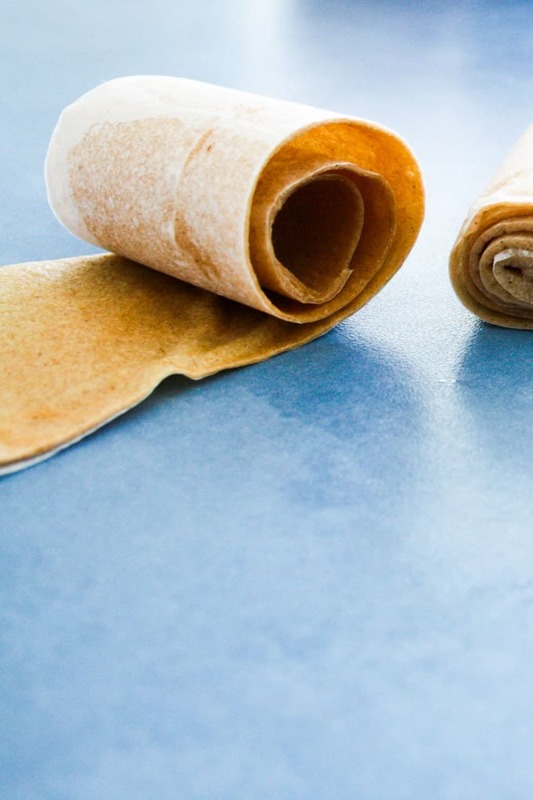 Leave the parchment paper on and cut into strips using sharp scissors and roll into snack sized servings.